Last week, I argued for breaking down the artificial and rigid age barricades we erect around picture books. 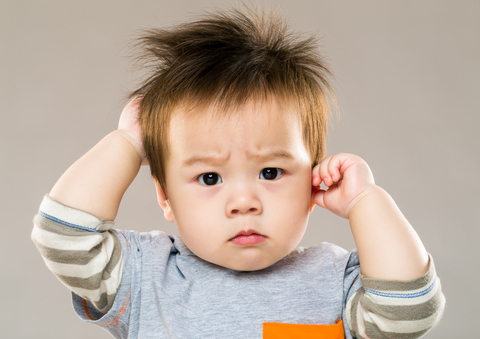 This week, I am pleading to bring back some sanity surrounding the age-appropriateness of board books, those thick-paged little books that used to be created with our very youngest readers in mind, but are now becoming a strange land where books meant for ages 4-7 are suddenly in toddler format. Increasingly, publishers are turning popular picture books into board books whether or not the content, style, complexity, or topic is appropriate for children under the age of three. It’s as though folks have decided to ignore Piaget altogether, or have never read a board book with an actual toddler. A book with something for adults AND babies. 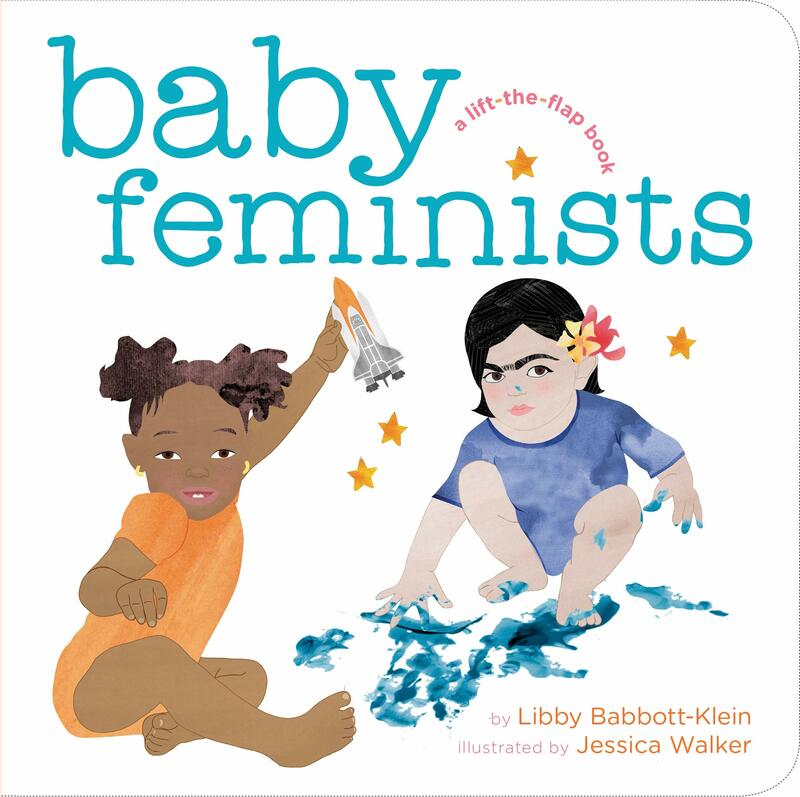 I’m not talking about tongue-in-cheek books like Urban Babies Wear Black, Quantum Physics for Babies, or Libby Babbott-Klein and Jessica Walker’s Baby Feminists (a personal favorite). These titles telegraph the fact that they are really intended as gifts for parents, and if they are good books, like the ones mentioned above, the illustrations and text offer something fun for baby, too, like Baby Feminists‘ lift-the-flaps activity. Recently, I’ve been seeing so many picture books written for ages 4-7 now squished into the board book format. Either the text is abridged, which really should be a sign that the story isn’t right for a board book, or the text is unabridged but the font is very small to accommodate all those words. My main quarrel with these titles isn’t the length; it’s that the stories just don’t connect with the children whom board books aim to serve. For example, take Amy Young’s charming A Unicorn Named Sparkle. 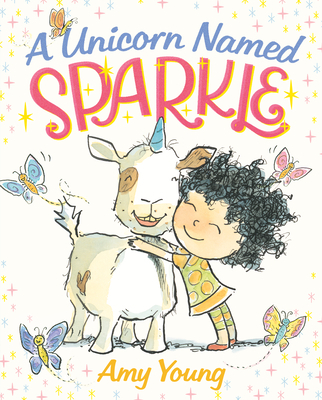 No one is a bigger fan of Sparkle than I am—I read it to pretty much every picture book shopper who comes to the store—but it’s definitely best with readers aged 4-7. The adorable art is toddler-friendly, but experience shows that the story is not too successful with children younger than five. A regular paperback edition would have been so much more welcome at our store, and would sell brilliantly for us. I think publishers might be bypassing paperback editions of picture books because board books sell so well, but I don’t think this serves long-term viability for books that are simply too old for toddlers. Excellent picture books that find their true audience will go on and on, but aimed wrong, they might miss their mark—and their most ardent readers. I’m a huge admirer of the phenomenal Williams sisters, but I have a hard time imagining that a two- or three-year-old would be able to connect to that opener. Even if they understood the words, they lack the contextual experience to appreciate the complex set of emotions encompassed in those sentences. While children should be introduced to real role models as early and often as possible, often the stories we share mean zippity-doo-dah to a two-year-old. How can we explain Serena’s incredible achievements without also discussing her battles against racism and sexism? How can we introduce Malala’s heroism without sharing the traumatic event that brought her story to the outside world? Wouldn’t it be better to wait just a few years until young children can truly appreciate these admirable heroes? Or work a little harder to marry the delivery of the information to the age of the listener? Maybe I’m being rigid here, exactly the way I was complaining about people last week, who define picture book audiences too narrowly. But I do think we are rushing children ever faster out of age-appropriate books, and to what end? Not every board book needs to be Yummy! Yucky! or More, More, More, Said the Baby or We’re Going on a Bear Hunt or Jamberry (although, why not? ), but seriously, let’s not forget the end user in these marketing meetings. Sure, many of these books will sell well in the short-term, but they won’t endure if toddlers don’t want to hear them again and again and again. This entry was posted in Uncategorized on March 26, 2019 by Elizabeth Bluemle. I respectfully disagree. I think the board book is an untapped format for all ages, even though it has been traditionally associated with babies and toddlers. A new frontier for authors and artists to pioneer awaits its limited number of sturdy pages. A trend to be set. A potential, positive fad to follow. Affordable to print. Trim sizes easy to hold. A canvas for big ideas in small packages, for ages 0-100! I agree with you 100%. It’s a bit ridiculous the number of picture books being shrunk and pushed into board book format and thinking they are appropriate for toddlers. Maybe an oversized board book that will withstand the wear and tear of reading favorite stories over and over again to preschoolers and up would be a better format. I absolutely agree with you and my only argument on behalf of the board book is that they hold up so well to endless readings. Paperback books tend to wear out and even our most beloved hardcovers required replacement copies but my kids have yet to wear out a board book! So true, Elizabeth. My kids’ very favorite board book was the almost wordless, Good Night Gorilla. However, there I’m confused about the fact that there is an audiobook available! This is so true! The tiny font is always a major flag for me that a picture book has been shoe-horned into the board book format. Thank you for this article. I completely agree that the content of a lot of recent board books is too sophisticated for the developmental level of toddlers. And when a wonderfully-crafted picture book is shrunk down to board book size (rearranging the page-turns of the original, altering the pacing, or worse, eliminating some of the text and illustrations), it often results in an inferior story. Let the board book crowd have books created just for them, and allow them to experience picture books as they were meant to be read when they’re a little older.